Rollerblading on a Prosthetic Leg?? Ellie Can! Author adminPosted on September 12, 2013 Categories Amputee Athletes, Amputee Videos, Client StoriesTags amputee, congenital, florida prosthetics, foot, leg, limb loss, orlando prosthetics, prosthesis, prostheticLeave a comment on Rollerblading on a Prosthetic Leg?? Ellie Can! Meet Evan Strong, POA client onthe Road to #Sochi2014 #ParalympicAthlete #TeamUSA! 16-year-old Hanna O’Brien is a confident, caring and intensely spiritual young lady. People of all ages and backgrounds are drawn to her sweet nature and nurturing personality. Born with congenital limb difference, Hanna’s left leg extends just 3 inches below the knee-cap. Her right hand has only a thumb and her left hand has nubs where her index and middle fingers would be. Her parents believed from the beginning that Hanna was perfect just the way she was born, and destined to do great things. As she grew a little older, Hanna began to notice that her leg was different than other kids’. One day, at a skating party, Hanna’s prosthetic leg fell off and she put it back on. On the way home from the party she asked her parents, “Are there other kids like me doing that, or am I the only one?” That’s when her family decided to seek out other amputees for Hanna to meet. When she was 10 years old they enrolled her in the Amputee Coalition of America’s (ACA) Children’s Camp and attended the ACA annual conference in Atlanta, Georgia. It was at the ACA convention that we met Hanna and her family. 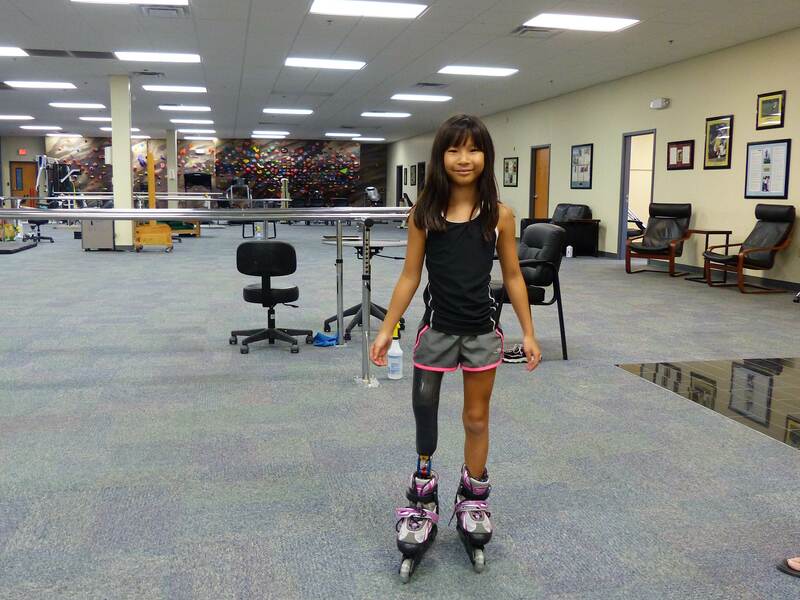 Hanna’s mother, Dee, shared that Hanna’s prosthetic limb was not comfortable, and it was preventing her from enjoying many of the sports she loved. Stan promised that if they would make the trip to Orlando (from their home in North Carolina) he would fit Hanna with a new prosthesis that would allow her to do all the things she enjoyed in comfort. Since then, Hanna has not stopped moving! At home in North Carolina she plays on her high school soccer team, golfs, rides four-wheelers and a motocross cycle. She also enjoys fishing. When Hanna is in Orlando having her prosthesis adjusted or replaced, she and her family spend a lot of time at the beach and enjoying the nearby theme parks. 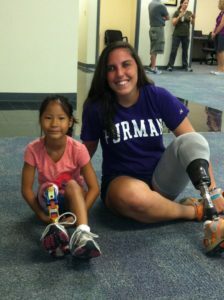 Hanna does anything and everything she wants, and enjoys sharing her story and explaining how her prosthesis works to new amputees. Not only does Hanna now know that she’s “not the only one with a prosthesis,” she has made many new friends and has helped countless others. During the 2013 ACA conference in Orlando, Hanna encouraged a new amputee who was terrified of swimming to give it a try, and stayed by her side until she became comfortable in the water. Hanna has blossomed into a very compassionate and confident young lady, and we are blessed to have her and all the O’Brien’s in our POA family. 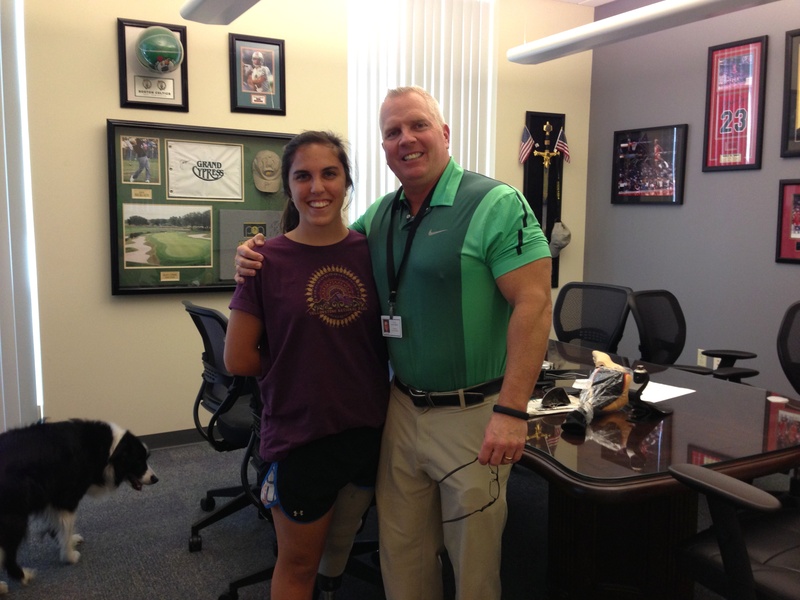 One day Hanna plans to become a prosthetist and work with and inspire other amputees to achieve their goals. We are #POAProud of you, Hanna O’Brien! Leo Morales, Hip Disarticulate Amputee, #MovingForward! Following message is from POA patient Leo Morales of Mexico. We are blessed to be part of your team, Leo! “The Doctor’s said because of the cancer and because i am a Hip Disarticulated i will not even wear a prosthetic leg. Thanks to God, Stan Patterson, all the POACFL team, my loved wife , family and friends for all the support. Now I’m able to walk and also to run, we are training very hard to make a full marathon. I want to change the perception of the people with disability, we are able to do even amazing things. ‘Disability is in our mind, not in our body’. Author adminPosted on September 3, 2013 Categories Amputee Athletes, Articles, Client Stories, POA Patients, POA Patients in the News!Tags amputee, amputee running, florida prosthetics, hip disarticulate amputee, hip disarticulate running, hip-disarticulate, limb loss, orlando prosthetics, prosthesis, prosthetic legLeave a comment on Leo Morales, Hip Disarticulate Amputee, #MovingForward! 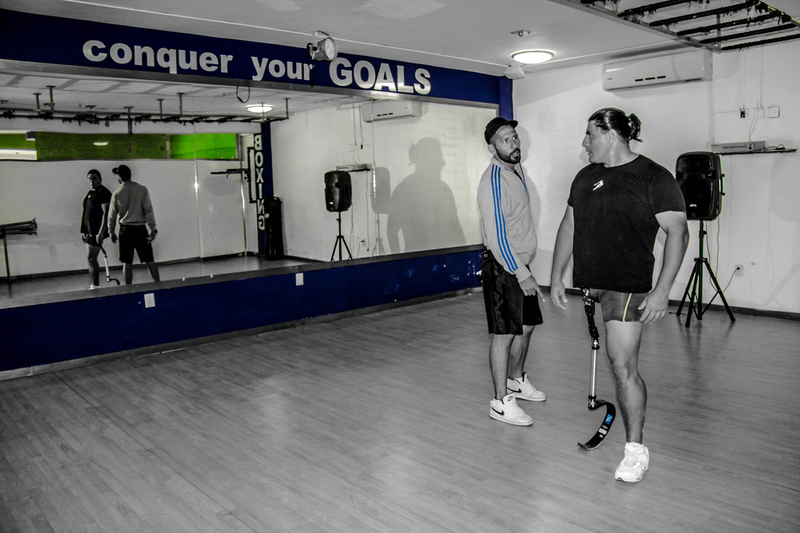 Kris, 25 year old PFFD Amputee, Takes First Steps – Ever – on Prosthetic Leg! Rosie, Hip Disarticulate Amputee, Takes Off Running!